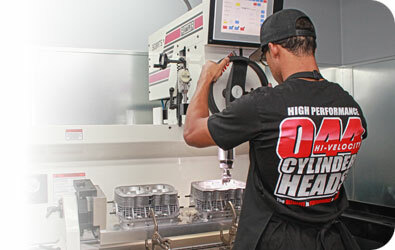 CB Performance's Machine Shop offers a full range of shop services on new parts purchased from us, and occasionally we will accept parts from our front counter customers. Our professional technicians offer years of experience and know-how. The work performed is accomplished with the utmost care and precision. Let CB Performance handle your machine shop services, and get the job done right the first time. If you would like to purchase any of these services, please contact our sales representatives.